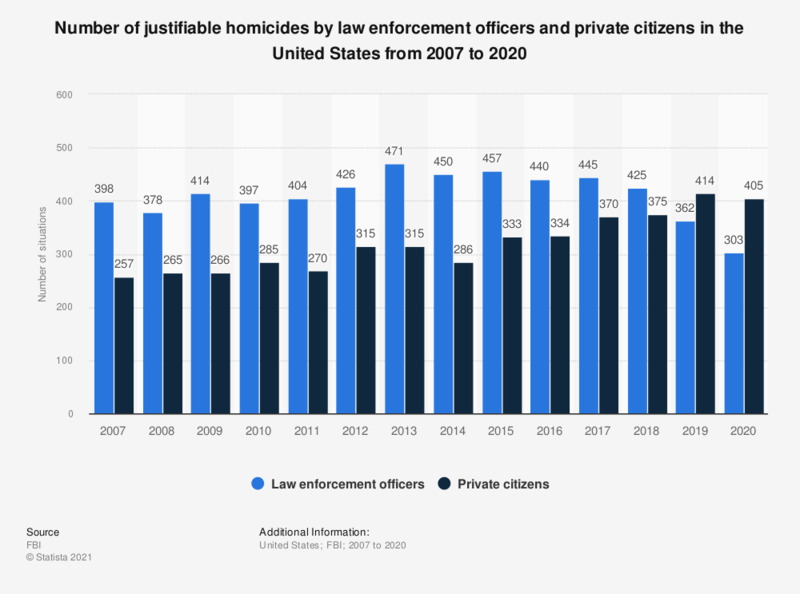 This graph displays the number of justifiable homicides by law enforcement officers and private citizens in the United States from 2007 to 2017. In 2017, private citizens committed 353 justifiable homicides in the United States. A justifiable homicide is defined as the killing of a felon, during the commission of a felony. A justifiable homicide is defined as the killing of a felon, during the commission of a felony.